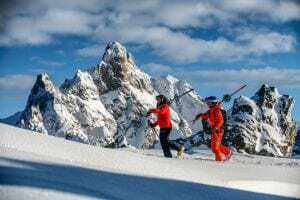 Serre Chevalier Technical Ski Clinics are perfect for intermediate to advanced skiers looking to improve and iron out bad habits, without being committed to having lessons all week. Perhaps you’re self-taught or haven’t had a lesson for a while and want to get focused feedback and direct input to get you off a plateau? You’re keen to get those skis carving, tackle the bumps with more style, try some steeps with the reassurance and guidance of a highly qualified instructor? These small group coaching sessions will get you to make your love of skiing grow even more! Perfect your parallels. Nearly parallel but not quite? Take this clinic on largely blue terrain to brush up those parallels and build confidence. Can you ski parallel but tackling red runs seems to be where it all comes unstuck? Our instructor will give you tips, advice, technique and tactics to gain your confidence on those reds. 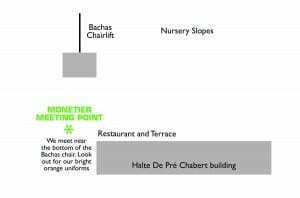 Comfortable skiing blacks and steep terrain but keen to explore the whole mountain? Join this clinic to develop technique to ski bumps, variable and off piste. Already comfortable skiing steep terrain, itinerary runs and off piste? But keen to fine tune your technique? This advanced clinic is for skiers who want to polish their skills off piste and in all conditions. To check your ski level and find out if Technical Clinics are suitable for you take a closer look at our selection of videos to help you decide.